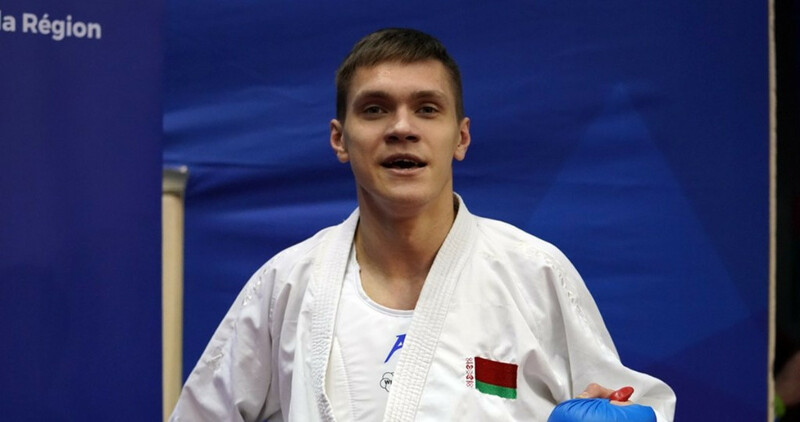 Competing in the men’s kumite under-84 kilogram division at the Pierre de Coubertin Sports Hall both Anton Isakau of Belarus and Iran’s Mahdi Gharaizadeh advanced into the final against the odds. Isakau has not won a medal of any colour since claiming a bronze at the 2017 Karate-1 Premier League contest in Dubai, but will fight for gold tomorrow after beating Japan’s Rikito Shimada in his semi-final 4-3. He is set tol face Gharaizadeh next, who upset Grand Winner Ugus Aktas from Turkey in his last four tie 3-2. Elsewhere in the competition though things largely went as expected. The men’s kata final will see a repeat of the 2018 World Championship final, after world champion and Grand Winner Ryo Kiyuna from Japan and Spain’s Damian Quintero both advanced. Kiyuna dominated the first two rounds and finished his pool with the highest points tally of 26.72, while Quintero finished top of his pool with 24.92 points. The hosts had another success to cheer as after Steven Dacosta’s performance yesterday, Gwendoline Philippe advanced to the final of the women’s kumite under-61kg class. Celebrating her newly acquired Grand Winner status, she beat her compatriot Laura Sivert in the semi-finals by ippon and will now face Egypt’s Giana Lotfy. Two-time world champion Lotfy, who, in reaching the final, has secured her first Premier League podium finish since 2016. Tomorrow on the last day of action in Paris all the gold medal winners is due to see the gold medals awarded. You can watch all the action, via our Karate TV page, by clicking here.